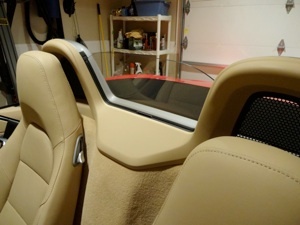 Several owners of the new 981 Boxster had complained to us regarding the very rear-view restrictive mesh supplied as a windstop from Porsche for the 2013 and newer Boxster and Boxster S.
We studied the situation and came up with a very CLEAR solution: the techNOwind . FITS Boxster 981 and 718 - ALL YEARS! 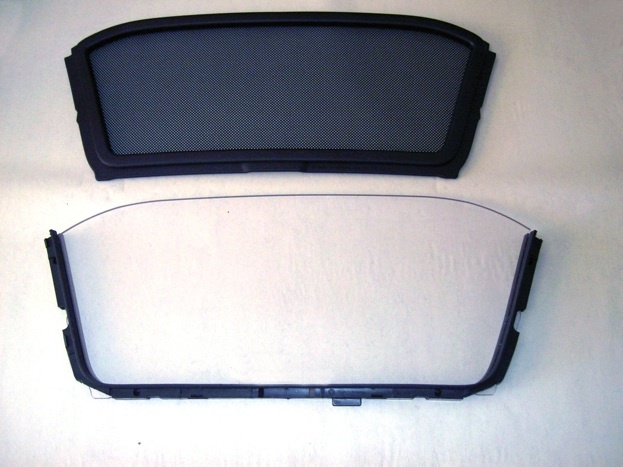 If your car already has the restrictive mesh, you just need the clear insert. You can also order it with a protective storage bag. 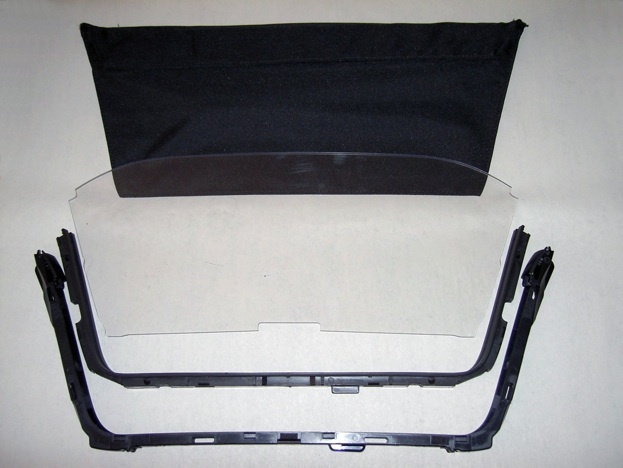 If your car did not come with the wind screen, we can supply the complete DIY Kit which includes the plastic frame, the rubber gasket, the clear insert the protective/storage bag and securing screws. Very easy DIY, 15 min tops. 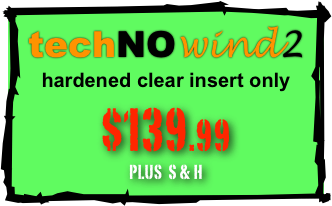 The techNOwind is manufactured using Makrolon, the high-tech polycarbonate from Bayer MaterialScience. Makrolon is lightweight, break-resistant, and non-splintering. It is resistant to impact and weathering and withstands high and low temperature extremes. It is also DOT approved. The parts are precision cut using a digitized file and a digital laser table, then the exposed edges are bull-nosed for safety and esthetics. 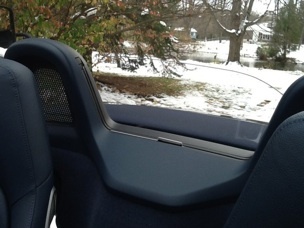 The techNOwind has been tested with the top down at speeds of 145 mph with no adverse issues. It greatly reduces wind buffeting and makes the Boxster’s cabin very quiet with the top down allowing telephone conversations or listening to you favorite music. If you already have the Porsche Windstop and protective bag. 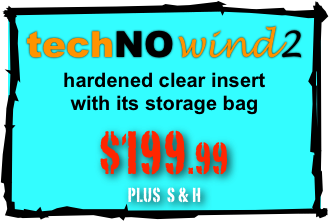 If you already have the Porsche Windstop and need the protective bag. 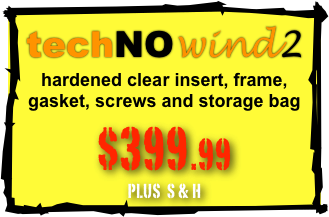 If your Boxster did not come with the windstop you need the full kit. 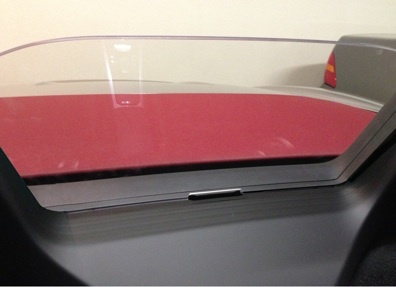 We were able to source a new Makrolon lexan polycarbonate material with a scratch-resistant coating making it easier to clean since its hardened coating makes it more scratch resistant and attracts less dust particles. 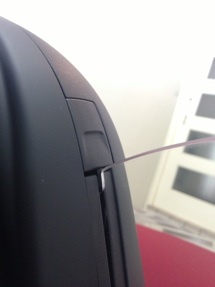 Below, a comparison between the restrictive Porsche mesh windstop and the completely clear techNOwind . Sizes are distorted due to camera angle.